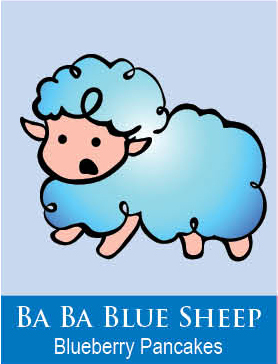 Clean Now Cuddles Later with Baa Baa Blue Sheep Bubble Bath Slime. 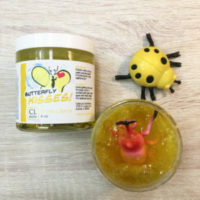 Baa Baa Blue Sheep bubble bath is a thick slime that little fingers can pull out of the jar and drip under the running water for a tub full of bubbles and the smell of sweet pleasing blueberry candies or sweet syrup blueberry pancakes. All the fun and none of the calories. 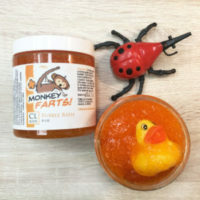 This handcrafted and cruelty free fun bath slime is a must have for the kids in your life, but no worries the blue will not stain your tub, only make you wish you had a plate of blueberry pancakes to eat. Your child will find a monster ducky inside every jar of bubble bath you purchase. Complete the Blueberry Set with the Body Wash, Bath Nuggets, and Bath Body Icing/Paint!